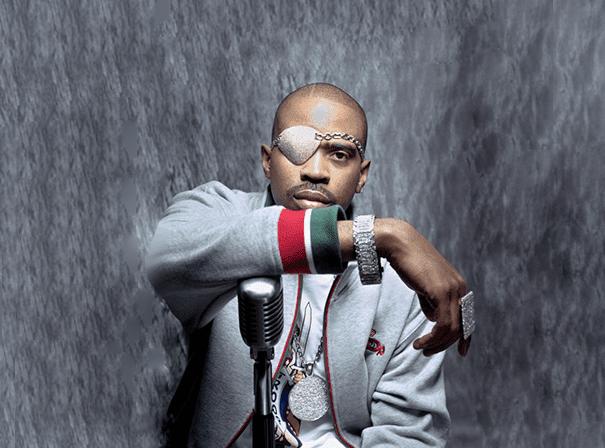 Slick Rick is a Grammy-nominated performer and the most successful British-American rapper in music history. He is widely regarded as hip-hop’s greatest storyteller. Born and raised in London, Rick moved to The Bronx with his family at a young age. In 1983 he became a part of Doug E. Fresh’s Get Fresh Crew, spearheading the much heralded Golden Age of Hip-Hop. He went on to have a commercially and critically acclaimed solo career with the albums The Great Adventures of Slick Rick, The Ruler’s Back, Behind Bars and The Art of Storytelling. As one of the most respected rappers of his era, Slick Rick has collaborated with several musical icons including Jay-Z, Outkast, Missy Elliot and Mos Def. He has been sampled or interpolated over 600 times by musicians such as Kanye West, Beyonce, Snoop Dogg and TLC, making him one of the most sampled artists in history. Many songs with Slick Rick samples became huge hits, proving Rick’s enduring influence. Slick Rick has won many accolades, including a VH1 Hip-Hop Honor, 15th place on The Source’s Top 50 Lyricist of All Time, and The Best Rapper Alive from Complex. Aside from being a hugely talented lyricist, Rick is a producer, actor, businessman and philanthropist. He is well known for his idiosyncratic style with a large eye-patch and heavy jewellery, Slick Rick is a true hip-hop original and one of the Godfathers of the genre. Three decades into his career, Slick Rick continues to bring the art of hip-hop storytelling to grateful audiences worldwide.